Self-described glamour-grunge witch-punks Deadbeat Club only played their first show earlier this spring. 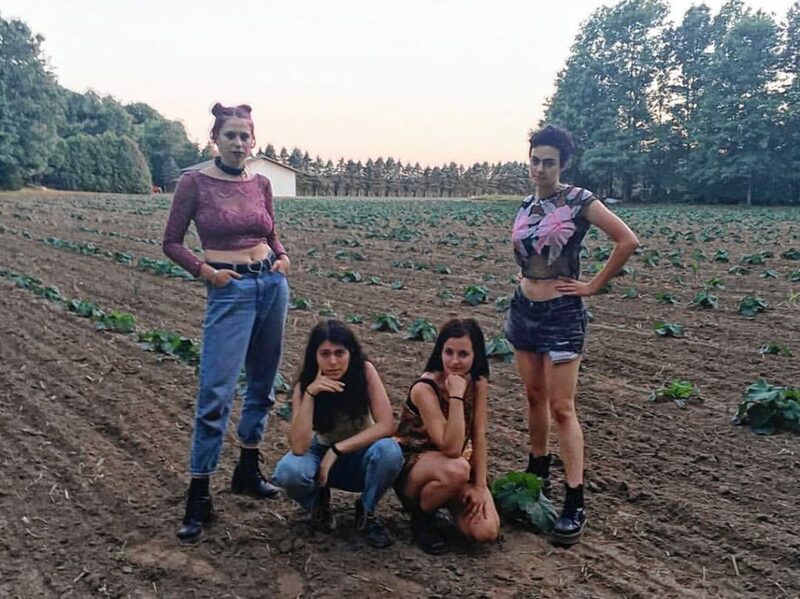 According to an interview in Maximum Rocknroll, they say the band formed “because [they] were sick of playing with boys and trying to start something serious.” And serious they are. In the short time they’ve been a band, they’ve not only played dozens of shows around the Northeast, but they also released a kicking self-titled EP. Without wasting any time, they will be leaving for a cross-country tour in December and January. I caught their recent set at a house show in Belchertown, where they played songs from their new EP as well as some others. I showed up at a charming yet dilapidated farmhouse, where I had to push an enormous wide-frame door into the small common room that was packed like sardines for the concert. As I walked in, band members Mandy Coxx, Daniella Doom, Lillian Filth, and Edie von Slayer were about to play their first note. Like their namesake song, the B-52s’ “Deadbeat Club,” the pseudonyms affirm a group identity, as well as create characters that add rich details to an already exciting band. Although influences like PJ Harvey and The Breeders ooze out, the songs have a definitive sound. Driving tom-tom beats, moody hooks, and prickly riffs create a soundscape that propels the band forward. Singing spans from sing-saying verses to packed, catchy three-part harmonies. Perhaps most poignant, though, are the lyrics about bodies — literal and figurative — that chant hexes political and personal. In a short time, Deadbeat Club has not only created a sound unlike others around here, but refined it. Over the course of the year, they have won over the scene here and got the attention of ears elsewhere. 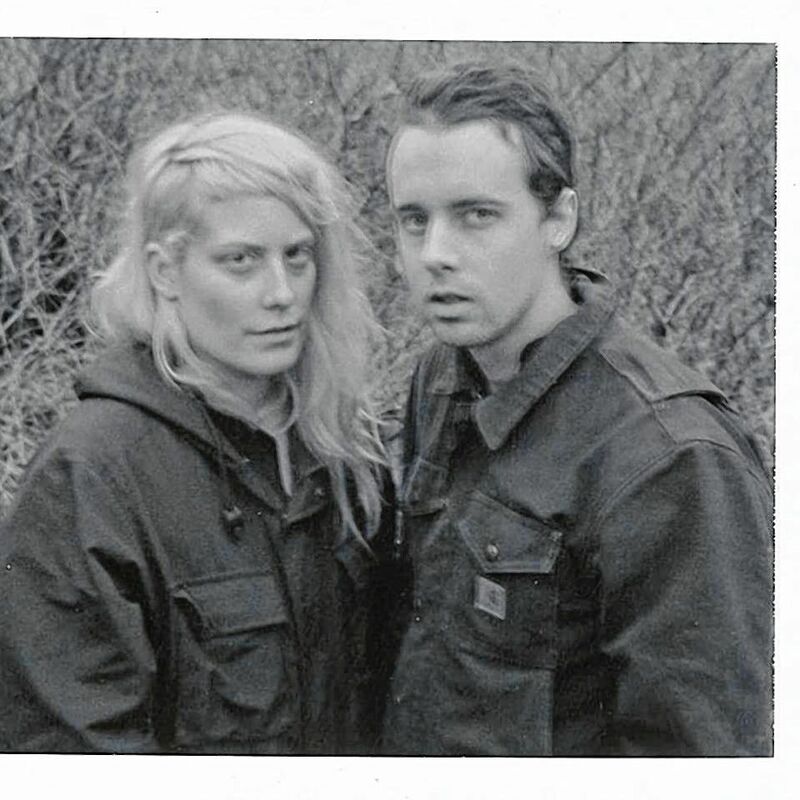 I also caught electronic duo Boy Harsher at the same show, after hearing about them for months. A friend I attended the show with was a huge fan, and as soon the set started she was fully immersed, in body and mind. The head-bopping, dancey grooves might feel at home at a rowdy party in addition to the mellow, kind of drab punk show where I saw them. What makes Boy Harsher compelling is that they are a mash-up of the current moment in electronic pop (Chvrches, Grimes, etc.) and the noise sets I see in basements. Singer Jae Matthews makes all kinds of sounds — singing, shrieking, screaming, breathing — on top of synth wizard Gus Muller’s captivating beats, drones, and noises. The set, much like the PussyVision show I wrote about recently, built beats, noises, and even breathing sounds, until it climaxed about 20 minutes in with a drop that fundamentally changed the dynamic of the room. Boy Harsher recently moved to the Valley from Savannah, Georgia, and we are lucky to be able to dance to them and be challenged by their sounds.